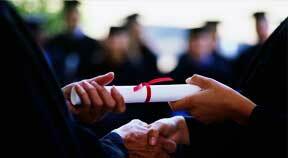 The lingering effects of the recession could make it hard for 2011 graduates to find jobs. Résumés are an important job search tool and should be carefully checked for errors. Graduation season is on the horizon, meaning it’s time for the 2011 college graduate to begin searching for their first “real job.” To help with this process, an entry-level job seeker can research job search tips from employment experts, which can help to increase their chances of joining the ranks of the gainfully employed. Steven Rothberg, president and founder of CollegeRecruiter.com, says it is never too early for a 2011 college graduate to begin looking for jobs. “Everyone should be looking for their next job all of the time because networking is integral to any successful job search,” Rothberg says. A job seeker that is still finishing up their final semester of college should be sure to make the date that they’re available to begin work clear on their résumé, says Jim Rowland, a recruiter at Jim Rowland Personnel. He notes that most employers will want a candidate to be available to begin employment within two weeks of an offer. “Of course, this can vary depending on the need,” Rowland says. Rowland and Rothberg agree that the state of the economy will still probably make it more difficult for a 2011 college graduate to find a job. When I read a résumé and find an error, it’s immediately tossed in the garbage. Although a 2011 college graduate may have a more difficult time finding jobs than new graduates did in the past, some areas offer more opportunities than others. Rowland says that healthcare and technology will likely remain promising fields for new graduates to find jobs. Not only do some professions offer more job prospects in the current economy, Jessica Renard, director of Career Services at South University — West Palm Beach, says the job climate in one part of the country may be different than other parts. “For business careers, I have a large network [of potential employers] that I’m working with so my response may be different from someone in career services in another part of the country, ” Renard says. Many job seekers use staffing firms as an intermediary to connect them with companies that have open positions, but Rowland says this technique does not typically work for entry-level employees. Companies do not usually hire staffing firms to find entry-level workers, as it is easy to find them on their own, instead of paying a company to do it for them, Rowland says. Rothberg’s job search tips include a recommendation that new graduates search for open positions on job boards and apply to those that interest them. He also says they should create a profile on job board sites, submit their résumé, and set up job match alerts, so they are notified of new openings. Rowland recommends that job seekers carefully proofread their résumés to ensure that there are no errors. Rowland also suggests that job seekers omit the objectives section on their résumé, as this tends to narrow the scope of their search. “You must be careful; in an attempt to stand out, you may very well end up ruling yourself out,” Rowland says. Rothberg agrees that new graduates should keep their résumé format basic. Rothberg says that it is also important to make sure that the résumé includes all keywords likely to be used by recruiters who might be interested in it.